Want the power of Viral TED talk at your event? Bring America;s Got Talent Finalist with an EDGE! World's Top Sword Swallower Dan Meyer. Want UNIQUE, FUN, ENTERTAINMENT with an EDGE, IMPACT they will NEVER FORGET? America's Got Talent Finalist Sword Swallower Dan Meyer: Innertainment with an EDGE 45 countries around the world! . Want the power of Viral TED talk at your event?. Want UNIQUE, FUN, ENTERTAINMENT with an EDGE, IMPACT they will NEVER FORGET? Viral TED Talk speaker Sword Swallower Dan Meyer brings Innertainment with an EDGE, a Program with a POINT! . Bring America;s Got Talent Finalist with an EDGE!. Want UNIQUE, FUN, ENTERTAINMENT with an EDGE, IMPACT they will NEVER FORGET? 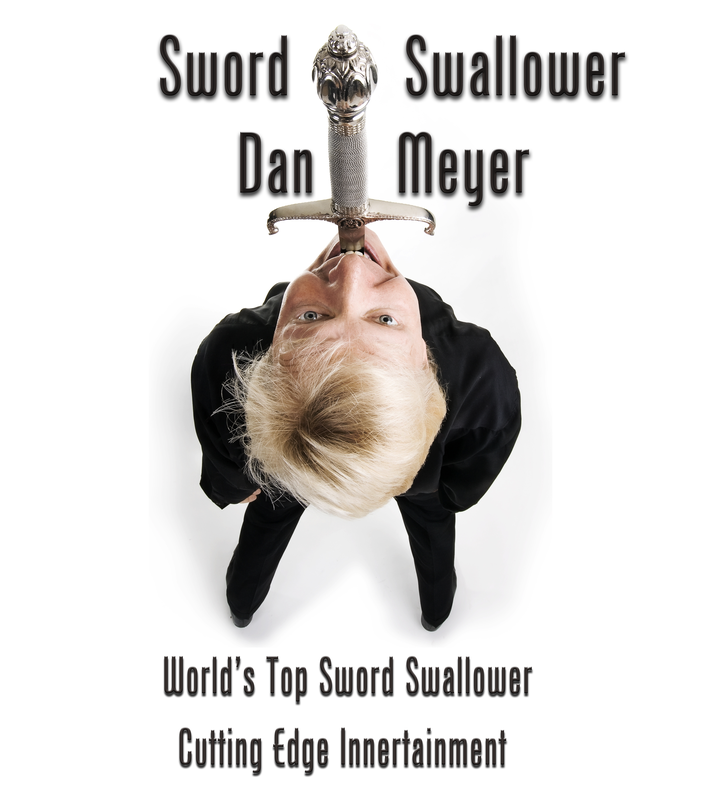 America's Got Talent Finalist Sword Swallower Dan Meyer brings Innertainment with an EDGE, a Program with a POINT! . Premiere Sword Swallower Dan Meyer promo.